For months, Gov. Peter Shumlin has been dodging questions about Republican challenger Randy Brock, telling reporters there'd be plenty of time for "silly season" after Labor Day. Now — on the day his campaign finally announced a forthcoming campaign kickoff event — Shumlin's campaign manager is saying there's not enough time left for the governor to take part in debates held by "special interest groups." That includes AARP Vermont's traditional gubernatorial debate, which has been held on Vermont Public Television each election cycle since Jim Douglas went tete-a-tete with Doug Racine in 2002. This year it was scheduled for Sept. 18 in South Burlington and was to be moderated, as usual, by former Vermont Public Radio reporter Steve Delaney. 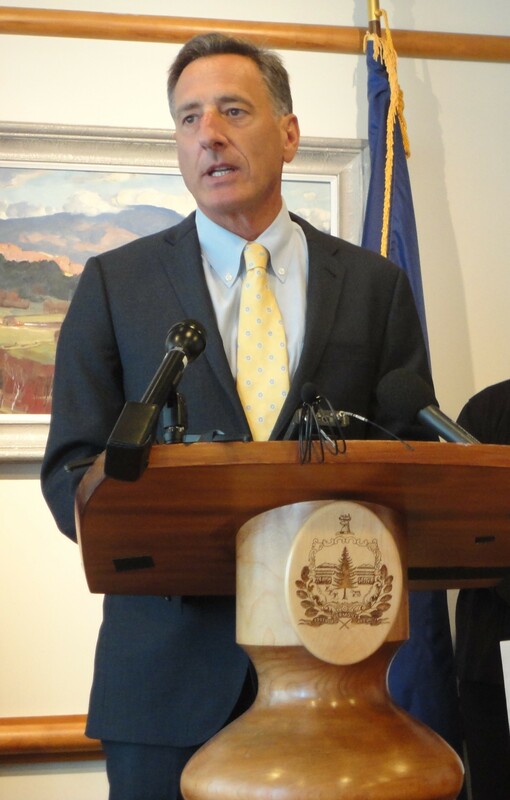 "The reason is because there are roughly eight weeks left before the election, and while the governor is absolutely going to be campaigning, he's going to be focusing on the job Vermonters elected him to do," newly-minted Shumlin campaign manager Alex MacLean said Friday. "If he were to say yes to every request that came in, he would be spending all of his time campaigning." Asked if she was, in fact, serious that the Shumlin campaign would suggest it was crunched for time after kicking the campaign can down the road for months, MacLean said she was. "Seriously," she said. "The governor still needs to be governor of the state. He has to balance both campaigning and governing." According to MacLean, the governor is confirmed for three media-sponsored debates, including ones hosted by VPR, WDEV-FM and Vermont Public Television. The campaign is working to confirm dates with WCAX-TV and WPTZ-TV. In April, AARP and the Shumlin administration found themselves in a major dustup over a proposed merger, which was subsequently consummated, between the state's two largest electric utilities. AARP publicly slammed the governor for supporting the merger and spent $115,000 on broadcast ads and direct mail in an attempt to scuttle it. MacLean said the merger wars had nothing to do with the campaign's decision to skip AARP's debate, noting that it had also turned down requests from the Vermont Natural Resources Council, Renewable Energy Vermont, the Vermont League of Cities and Towns, and other groups. She said she had not received a request from AARP until early this week. "AARP is not being singled-out at all," she said, adding that the administration had "moved past" the merger issue. Shumlin did participate in an AARP debate two years ago when he ran against then-lieutenant governor Brian Dubie. Greg Marchildon, AARP's state director, said he doesn't know what to make of Shumlin's negative RSVP — and isn't sure whether the organization will move forward with the debate. "If this really is the decision of the Shumlin campaign, then I don't believe we're being targeted. But I don't know. I don't have all the facts," he said. "If that's the truth and they're not accepting any special interest debates or forums, then I have no reason to think we're being targeted at all." Brock did not return a call for comment Friday afternoon.